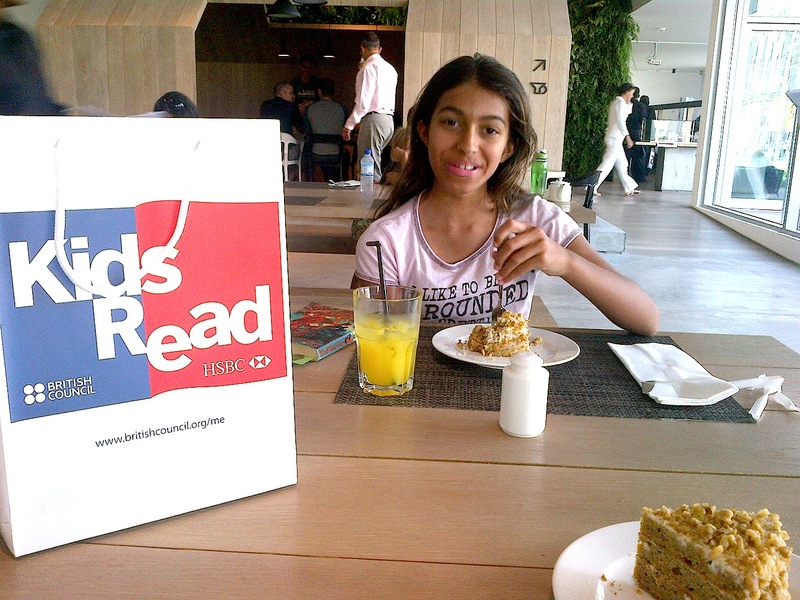 I have blogged about the importance of reading before but after little diva and I ventured last weekend to the Kids Read initiative by British Council and HSBC Bank Middle East Limited at the Pavilion, I felt like talking about it further. I first became interested in reading & language arts in the late 90’s and regularly ventured to Singapore to get training in Speech & Drama, Creative Writing and Reading modules at the Juliette McCully Speech Training Centre. It was great fun staying in Orchard Road and going to work every morning with the talented kids in Singapore as well as having awesome colleagues – I have fond memories of my colleague Claire from Australia who was the other expat exploring the country with me during weekends….we both agreed that we enjoyed the reading programmes so much that it didn’t feel like work and she did exchange programmes at our centre in Bangsar Kuala Lumpur making it equally enjoyable. The Kids Read community event I attended the last week with HSBC and British Council was an interactive event which included storytelling, games and competitions for children. There were also instructional workshops for parents on how to encourage reading in their families as well as hints and tips on how to connect to their children through books. I have a library in every part of my villa, including my bathrooms and I wouldn’t have it any other way….it is awesome to be surrounded by books. As NJD was way too advanced for the activities at Kids Read initiative, I took the opportunity to talk to the organisers about the programme while little diva indulged in her library book over a carrot cake and milkshake. I love how she voluntarily carries a selection of books every time she leaves the house no matter where we are going. A lot of credit goes to Eric and the fact that he tells her a bedtime story without fail every night so she goes to bed smiling and wants to complete her stories the next day out of curiosity. 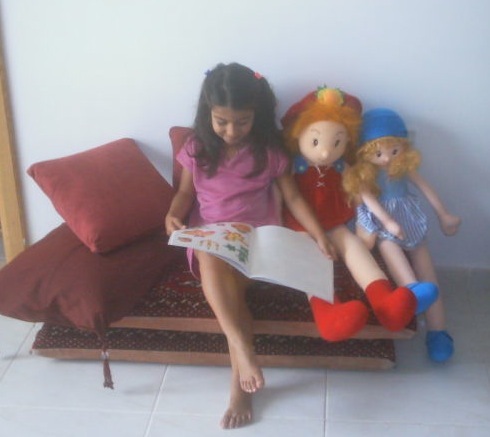 According to both Jancis McGrady of British Council and Ammar Shams of HSBC, Kids Read aims to encourage reading for pleasure both inside and outside the classroom among primary school children in the MENA region. Through the joint efforts of the Ministries of Education, HSBC and the British Council, the Kids Read program hopes to reach 25,000 children across 13 countries in the MENA region over 1 academic year. It is Commendable that HSBC, apart from providing 50 books to each school also get staff to volunteer in the reading programme … It’s a very hands on community event for all parties involved and I’m glad to hear this initiative will continue with new themes each time. I just wish NJD was exposed to these type of initiatives when she was young. Keep an eye out for the next one if you have young kids….its an awesome programme. 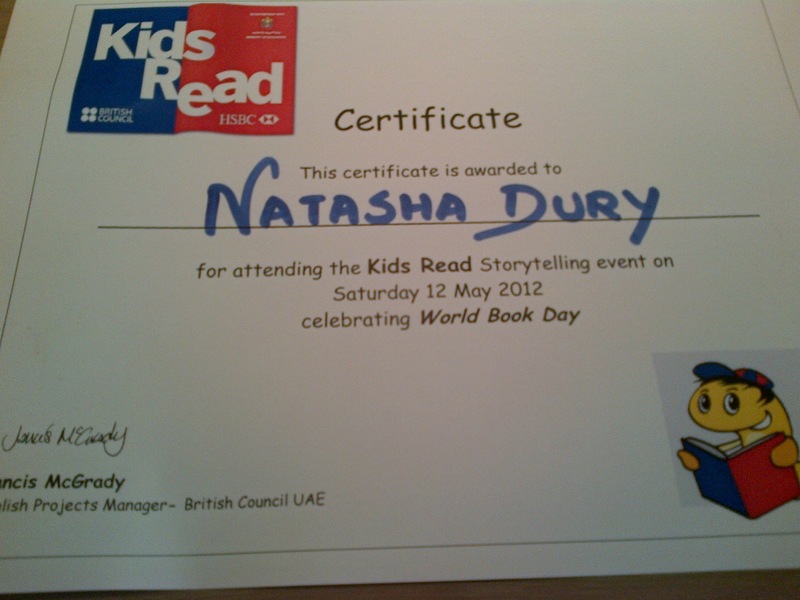 NJD gets a certificate…one of many she’s been bringing home recently :)…proud mum! stuff previous to and you’re jut extremelyy magnificent. are stating and the best way during which you assert it. Youu make it entertaining and you continue too care for to keep it wise. I cant wait tto learn far more from you. That is actgually a wonderful web site.